The very successful tour of Midnight Tango starring Strictly Come Dancing’s Vincent Simone and Flavia Cacace is produced by Arlene Phillips and Adam Spiegel and ends in Glasgow on 30th July after playing at a large number of UK venues for 13 weeks. But now it is transferring into London’s West End for a limited season opening at the Aldwych Theatre on 20th January 2012 and running there until 31st March. The action takes place in a late-night bar in downtown Buenos Aires. 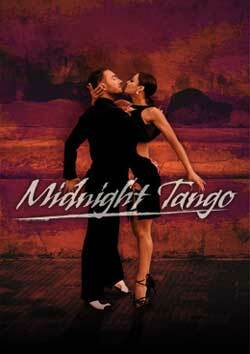 Midnight Tango is a very exciting show which has been created and choreographed by Simone and Cacace who are joined on stage by a company of ten other tango dancers. Midnight Tango is directed by Karen Bruce, designed by Morgan Large and lit by James Whiteside. Live music is provided by Tango Siempre, featuring vocalist Guillermo Rozenthuler.